Now that Colorado has a Community Solar Gardens Act, it’s important to make sure small, local solar companies have an easy way to join in. If ten companies each set up a solar garden in, say, twenty counties, there would be 200! With a plan we call “open gardens”, far fewer facilities will be needed, but more providers can participate. If this is to be a “community solar garden”, we need to think about the community of solar professionals in Colorado. They are independent, with strong concerns about pressures for consolidation in the industry. If a single provider could have exclusive rights to the only facility within a given county, they would essentially have a monopoly on solar gardens in that area. Small solar companies, established in a local area for decades, could be shut out of the market. Open Gardens can prevent this. We have designed the Founders Garden like a real community garden, where each solar company that joins the Solar Gardens Institute may have access to their own patch within a larger Community Solar GardenTM. The Jefferson County site is subdivided into a number of parcels, one or more of which can be allocated to each company. Each vendor can do its own marketing, use its own equipment and its own people. We will maintain an open membership with high quality standards. This way, Colorado companies can share some infrastructure and economies of scale, while maintaining diverse offerings. This will lower barriers to entry and improve competition. As part of their marketing efforts for rooftop solar, solar companies naturally come across people who would be better served by a solar garden subscription. Using an open garden model, even individual solar professionals will be able to participate in the community solar market. At the very northern tip of Jefferson County, the founder’s garden is located close to NREL, and will provide the perfect demonstration site for renewable energy technology and art, eventually being made open to the public. The site is located on an old rock mine, and is zoned industrial with no special permits needed for a power plant. 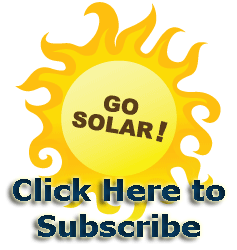 The Solar Panel Hosting Company will develop and manage the site.